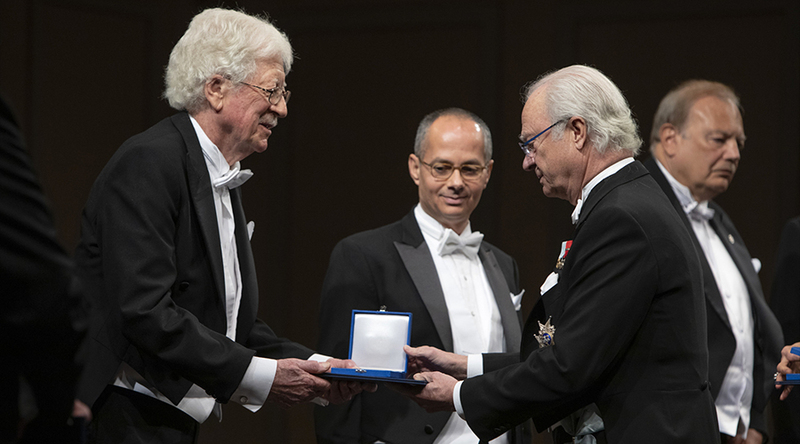 The Royal Swedish Academy of Sciences has just awarded the 2019 Gregori Aminoff Prize in Crystallography to ASU Emeritus Regents' Professor Michael O’Keeffe and Professor Omar M. Yaghi, of the University of California, Berkeley, “for their fundamental contributions to the development of reticular chemistry.” The honor was personally awarded by His Majesty King Carl XVI Gustaf of Sweden. Metal-organic frameworks, universally called MOFs, are a relatively new class of crystalline materials with unprecedented porosities and capacities to absorb gases, with many practical applications. MOFs and their properties were discovered in the late ‘90s at ASU by Yaghi and his group. Yaghi was joined by O’Keeffe in developing the theory and practice of synthesis of MOFs with designed structure and properties — reticular chemistry. Yaghi and O’Keeffe were both ranked in the top three on the world list of most frequently cited chemists in the decade ending in 2011. Graduating senior Colin Redman has spent the past eight years competing in speech and debate — four years at his high school in Los Alamos, New Mexico, and four years as a member of Arizona State University’s Forensics Team housed in the Hugh Downs School of Human Communication. A computer science major and a recipient of the New American University Scholar National Merit Award, he is also a member of Barrett, The Honors College. Redman decided to combine his interests in computer science and forensics for his honors project: building a program that offers debate students efficient means to store and access their research in a database. 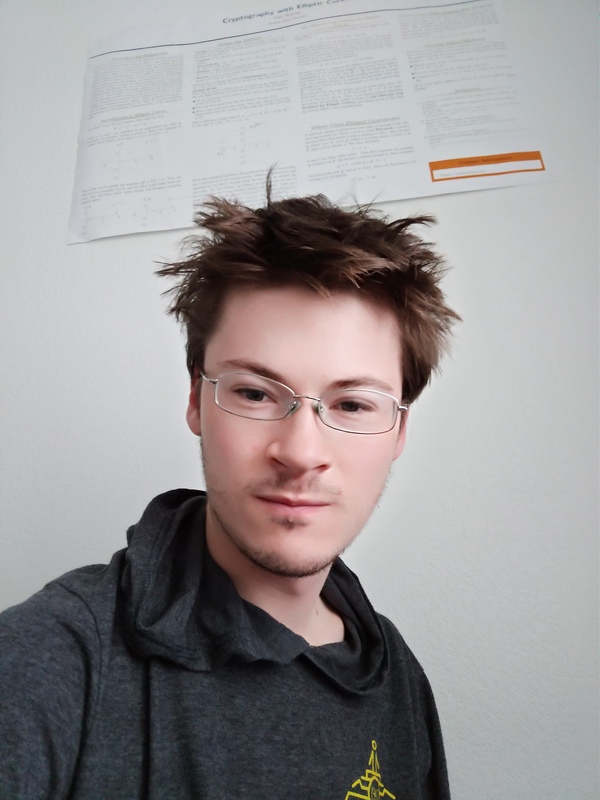 He is writing a user interface and a series of storage/retrieval protocols that allow students to compile their research before a tournament and then access it during competitions. ASU Now sat down with Redman to learn more about his ASU experience. Question: Can you tell us how it came about that you decided to build a database for the ASU Forensics Team? Answer: My first couple years of high school we debated off of paper; that is, our evidence and portions of speeches that we were able to write before tournaments would be written or printed out on paper, and we would bring a physical tub of evidence to our debates. Since then, debate has become increasingly digital, so that in most places now debaters will instead do all the work of compiling and reading speeches directly off of laptops. In that way, technology has already caused sweeping positive changes in the ways that debates are carried out at both the high school and college levels, but what is still missing is dedicated software that can be used for compiling, researching for and delivering speeches. Current solutions, while they are functional, lack a variety of features that more custom software can provide, such as the ability to run consistently across many operating systems or enable collaboration over the internet. So, I saw a need and I decided to try my hand at filling it. Colin Redman playing chess at the airport while traveling with his mom. A: When I was much younger I started programming as a creative activity. As someone who grew up around technology, I really felt like programming gave me the tools to make anything out of nothing. I think that I still feel some of that; for me, computer science is about finding and creating new ways to do things, given a world that is more and more digitally integrated. Q: What’s something you learned while at ASU — in the classroom or otherwise — that surprised you that changed your perspective? A: Coming into ASU, I thought that I didn't like math because the upper-level math in high school is all calculus and I don't like calculus. I took a discrete math class as part of my major, and it turns out that I really like discrete math — that is, math that deals with integers or whole numbers. Since then, I've taken a ton of extra classes in math and I'm really glad that in the end, I didn't miss that. A: I pretty much found ASU because the ASU speech and debate team hosts a large national tournament every January that I attended in high school. I liked the campus then, and it also helped my decision to know that debate would be an option for me in college if I came to ASU. Then I got a scholarship that pretty much sealed the deal. Q: What’s the best piece of advice you’d give to students just entering ASU? A: Find something to be a part of outside of classes. There is so much more to being in school than just scraping by on coursework. It doesn't even have to be something "useful," and it certainly doesn't have to be something you think you are good at. A: The speech and debate team has a squad room that is open to team members. Our old one in the basement flooded this year, but the new one is pretty cozy as well. A: I want to eventually pursue a PhD in computer science, but for the moment I have too many varied interests that I want to narrow down before I settle on a specialization. So in the immediate future, I will be taking a gap year to work before graduate school, and then I will use that experience to decide on what I want to eventually pursue as a career. A: I would probably try to do something about climate change, even if $40 million couldn't go too far against that problem at least it could be invested in renewable energy either constructing wind turbines or otherwise investing in research to create more efficient energy in the future.